How We Test Electric Heaters - Which? We use climate-controlled rooms to test electric heaters. Find out more about how we separate the best electric heaters from the worst. No one tests electric heaters as thoroughly as Which?. 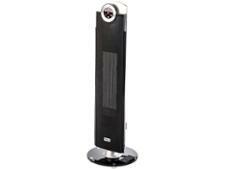 We've tested widely available electric heaters from brands including Dyson, Ebac and Dimplex. You can use our test results to compare the heaters' performance on everything - from how fast they heat up, to how stable they keep a room's temperature. We test every electric heater in controlled conditions to ensure we make accurate comparisons between models. Only the very best can be recommended as Which? 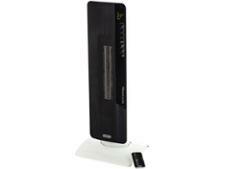 Best Buy electric heaters. And because Which? is independent and does not accept advertising, you can trust our reviews to give you the honest truth about each fan heater we review and rate - whether that's good or bad. How well does the fan heater heat a room? How stable is the temperature kept by the heater? Does the fan heater deliver the power it claims on the box? How much will the fan heater cost me to run? How easy is it to use - and is it noisy? Just want to know which electric heaters are the best? Head straight to Which? 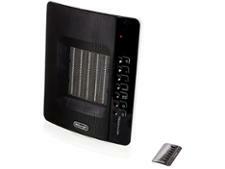 Best Buy electric heaters. How well does the electric heater heat a room? One of them simulates a living room, measuring 3.5x4x2.6m, and is extremely well insulated to stop heat loss through the walls. The second is a smaller refrigerated chamber, capable of being chilled to sub zero temperatures. Vents between the two chambers allow cold air to flow for our tests. We set up tiny thermometers and link them to monitoring equipment outside. We then measure how long the heater takes to warm our test room. The testing is conducted in accordance with the conditions set out in British Standard EN 60675. We use 16 probes laid out in a 4×4 grid. These are situated 1.35 metres above the ground (the height of a sitting person) to measure the air temperature. The mean temperature, recorded every few seconds by the probes, is used as the mean room temperature. We also compare the temperature 5, 10 and 15cm off the ground, just 0.5 metres in front of the heater to make sure that the room is being heated uniformly. Each electric heater starts the tests in a room temperature of 10 degrees Celcius. We switch the heater on and measure how long it takes for the room to reach a steady temperature, 15 degrees higher than at the start of the test. We then measure how hot the floor and air temperature is in front of the heater - this is to check it heats the room, not the floor. How stable is the temperature kept by the electric heater? To test how well the fan heater can keep the room temperature stable, we vary the temperature of the test chamber to stimulate mild, cold and very cold weather conditions. The best heaters will keep the room temperature stable, whether they have to work a little or a lot to do it. We also measure how much electricity it uses to reach the steady temperature so that you can make sure that your electricity isn't being wasted. Does the electric heater deliver the power it claims on the box? We assess each heater to see whether it achieves the full power that's claimed by its manufacturer. We found that some heaters don't meet their manufacturer's claims - you can read our electric fan heater reviews to find out which models these are. How easy is the heater to use - and is it noisy? Three assessors examine how easy it is to set the heater up for the first time and how clear the instructions are. They also look at how easy it is to select different settings, including the ease of turning the electric heater on and off. Finally, they check to see whether it's easy to move the electric heater around when it is hot or cold. We also rate how noisy the electric heater is and whether it falls over easily if you knock into it. These tests simulate what you would experience if you bought the electric heater. Thanks to our test results, you can avoid any electric heaters that are tricky to set up and a pain to use. All of these tests contribute to a portable fan heater's overall Which? test score. The overall score ignores the price of the freezer and is based on the following. A fan heater needs to score 75% or more in our tough tests to qualify as a Best Buy. Heaters that score 45% or less are highlighted as Don't Buy models to avoid. We constantly improve our portable heater testing to ensure that we only recommend the very best models as Best Buys. This means that some models have been tested in slightly different ways. In 2014, we changed our portable heater testing programme slightly. This means that although you can generally compare results for portable heaters with those tested before 2014 (this is noted under the specifications tab in each review), the results don't directly correspond. However, each score still gives a very good indication of the overall performance of the portable heater.